There is a liberation that comes with being an eccentric person. The freedom to like what you like, love what you love and appreciate everything in between. I, for one, consider myself a closeted eccentric soul. That is one more facet that I love about my creative field. The ability to work with clients of different industries gives me the creative freedom to CREATE for different audiences, with distinct taste. Occupation: co-owner of the textile house Old World Weavers with her husband. Her World: eclectic, defining bohemian chic, mixing a $5 beaded necklace with a stunning velvet Koos van der Akker evening coat. Apfel, once regarded as simply an eccentric with a love of daring prints and accessories, is now being recognized as a fashion trailblazer. Apfel grew up in Depression-era Astoria, Queens, the daughter of a meticulously coiffed and shrewd businesswoman and a father who specialized in glass and mirror installation for tony interior designers. She easily recalls her early forays into fashion and her gift for shopping. After college she worked at the trade publication Women’s Wear Daily and enjoyed a stint as Girl Friday to Robert Goodman, a leading men’s illustrator, at Saks Fifth Avenue. 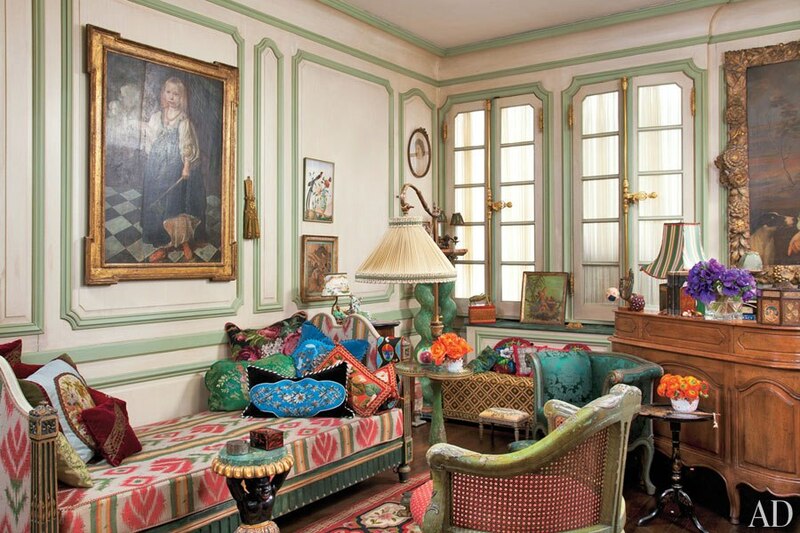 While she eventually left her champagne-soaked fashion life for interior design, she never lost her taste - or her flair - for style. She says her two biggest gifts are her sense of humor and her curiosity, and both allowed her to acquire the unique jewelry and clothing that spills out of rooms and closets at her home. Koda, who has been friends with Apfel for the past 25 years, says opening one of her closets is akin to opening a jack-in-the-box. The only difference is that an exquisite Lanvin taffeta skirt pops out instead of a toy clown. 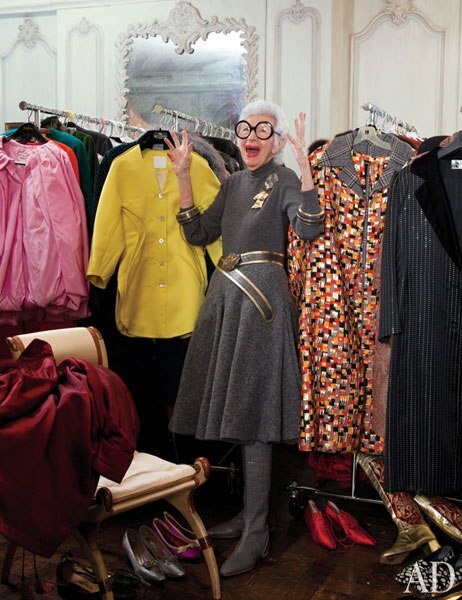 At 92, she is still bustling with energy someone I'd personally call a world class shopper and creative inspiration. "The fun of getting dressed, is that it's a creative experience"
This is part of a series entitled "Unleash your Creative Beast" where I do exactly that, invite you to unleash your creative beast!